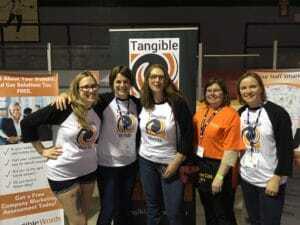 Here at Tangible Words, we’re thrilled to be winners of the HubSpot Integration Innovation award! 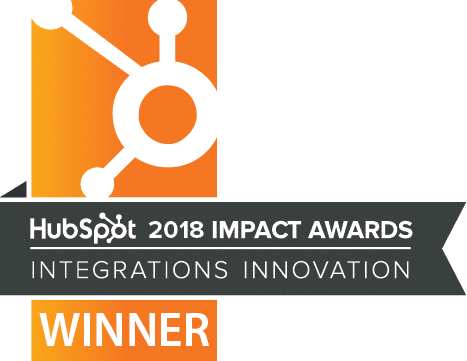 This award recognizes the innovative way we used HubSpot’s integration tools (WordPress and Zapier) to benefit our client Haliburton Forest. 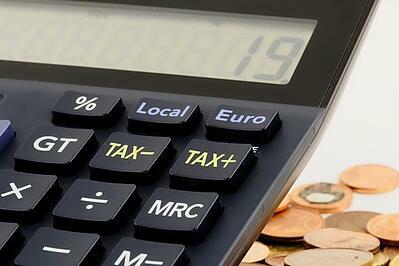 at the affordable price needed in the tourism industry. “The HubSpot Agency Partner Impact Awards represent the best inbound work globally, across five core categories. We would like to congratulate Tangible Words on achieving the Integration Innovation award for their region amongst their competition.” Scott Brinker, VP of Platform at HubSpot, Inc. When rebuilding a website for our clients, like the one we built for Haliburton Forest, we focus on Growth-Driven Design. Our clients may or may not realize how much the technology behind a website lends itself to marketing and sales, but we make sure they’re getting the full benefit of their dynamic website by the time we’re done! And it doesn’t stop there. For instance, once Haliburton Forest had their new website, they were ready for the other service we love to provide: working with sales teams to increase qualified leads and gain new customers, while at the same time helping them use their (already limited) time more efficiently. For example, we recently helped another company close $600K in new business in the first five months of our inbound marketing contract. Attracted the target audience using helpful content – web pages, blog posts and social media messages – strategically placed. Maintained a relationship with qualified leads via email, social media and more good content, thus turning the leads into customers. Maintained a relationship with customers through quality content, thus allowing them to become the Forest’s promoters. 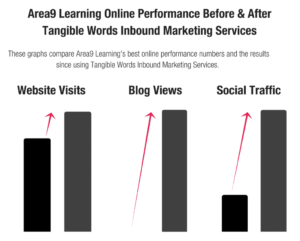 “HubSpot is proud to call Tangible Words a partner. They have been recognized for their innovative and strategic inbound approach to help their clients grow better.” David McNeil, VP Global Partner Program and Strategy at HubSpot, Inc.
As an inbound marketing agency, generating content is key to what we do for our clients. Our content creation powerhouse is a distributed office; our team members work from home and are highly skilled, with university degrees and professional copywriting training provided by Tangible Words. The writing is supported and displayed by the web developers, copy editors and graphic designers on the team. Many of the team members have specialized knowledge in fields like manufacturing, education, SaaS, food and beverage, economic development and tourism – and they all have a solid understanding of inbound marketing. At Tangible Words we love to be transparent and share our knowledge, talking about it, teaching it – and also making sure our potential clients have everything they need to know about how we can work with them. You can help your sales staff gain qualified leads and turn them into customers – and make more money for your business – just like Haliburton Forest. Download this free ebook to get started.